Under Armour take the laceless movement to new levels by introducing the Spotlight Pro. 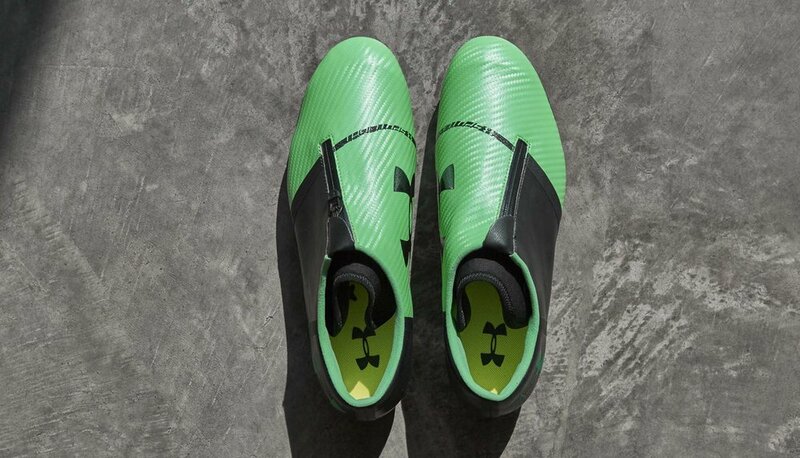 A split green and black colour way hugs the next-generation model as Under Armour prepare to kick off the new season in unique style. Oh yeah, those are zips. Actual zips on a football boot. Seriously, they've got zips on them. 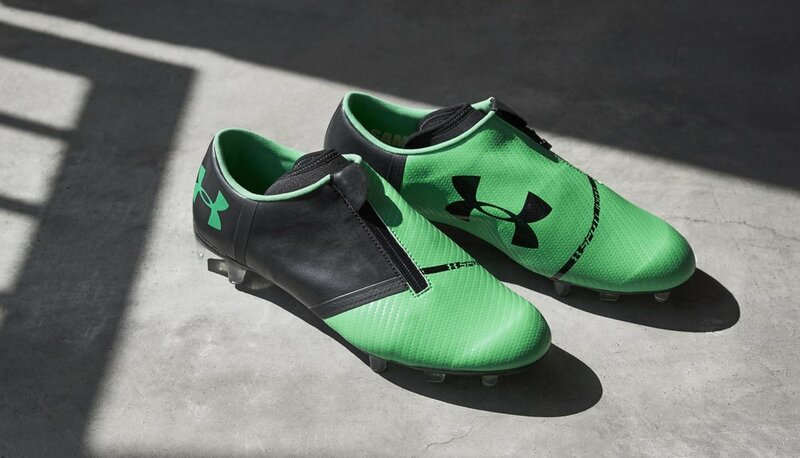 Under Armour have stuck two fingers up to the rulebook and recreated a concept that puts in a high challenge on boot design with studs up and a sly elbow. This is a disruptive design, a bold statement. A move that has put zips on a football boot, instead of laces. ZIPS. You know what? We like them. There, we said it. There's more than method to the madness. The Internal Fit Sleeve cradles the foot and provides that snug harness of laces, while the zipped cover provides a larger and cleaner striking surface. Put some zip on your boots to put some zip on the ball. Making sense? What you can't accuse Under Armour of is standing still, and if you say you're not interested in trying a pair... you're lying. Down below the Spotlight is built for speed as Under Armour aim to stick to its previous generation namesake. Make no mistake, this is genuine innovation. Time will tell if it's game-changing, but for now, it's at the very least intriguing. 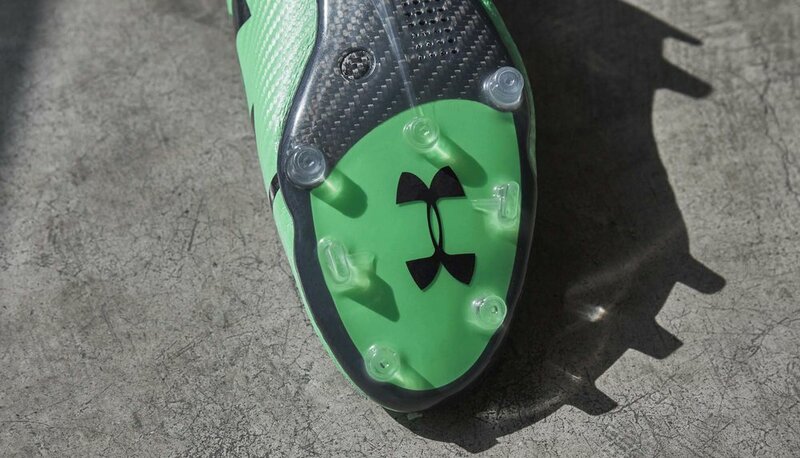 Under Armour have claimed the technology as their own to play with and advance. Zips, man. Zips.